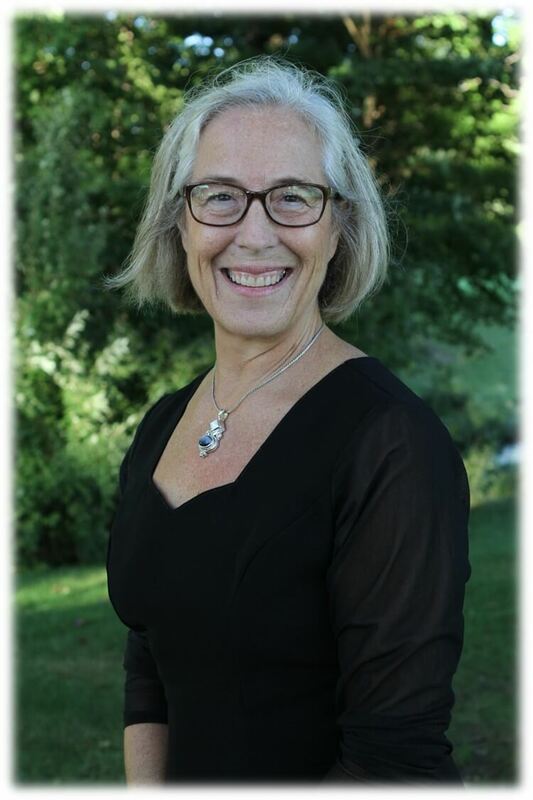 Janet L. Van Valey - Founder Janet L. Van Valey holds both a Bachelors and Masters degree in music and has taught choral music at the middle school and high school levels. 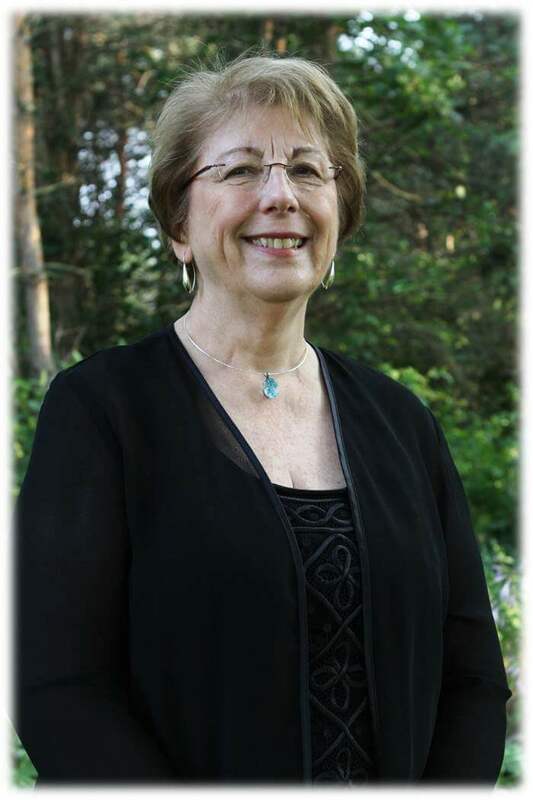 In addition, she has served as the Music Director for numerous denominations over the past 40 years. 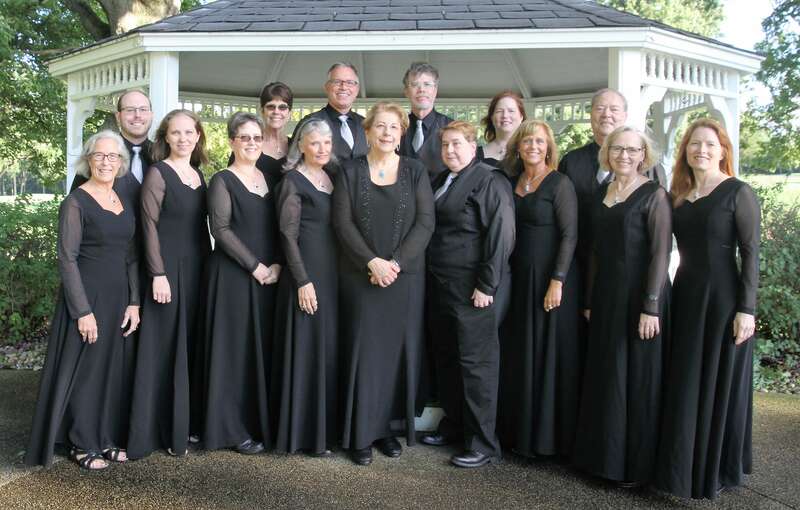 Jan is the founding director of the Kalamazoo Ringers, starting the group in 1981. 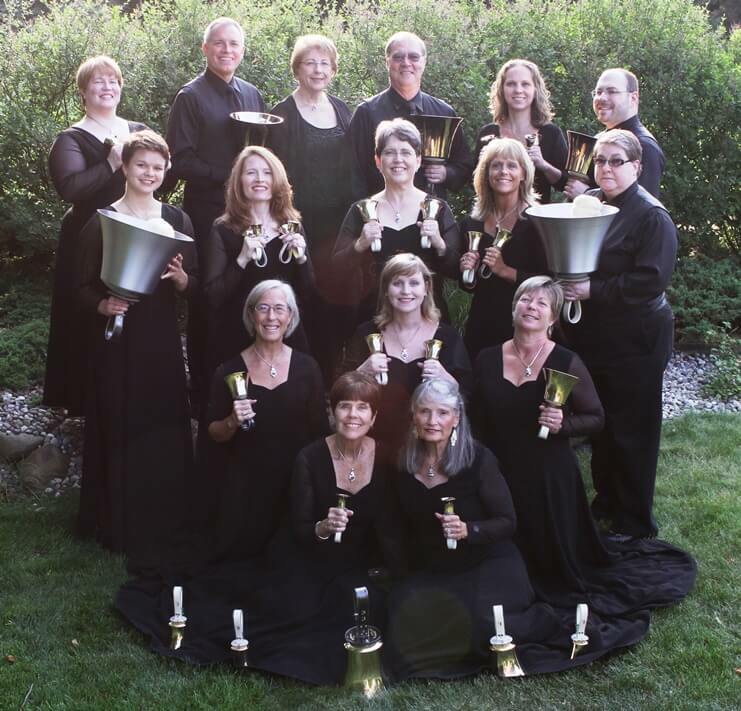 She has worked with handbells since 1978 when she began her studies with Donald Allured. 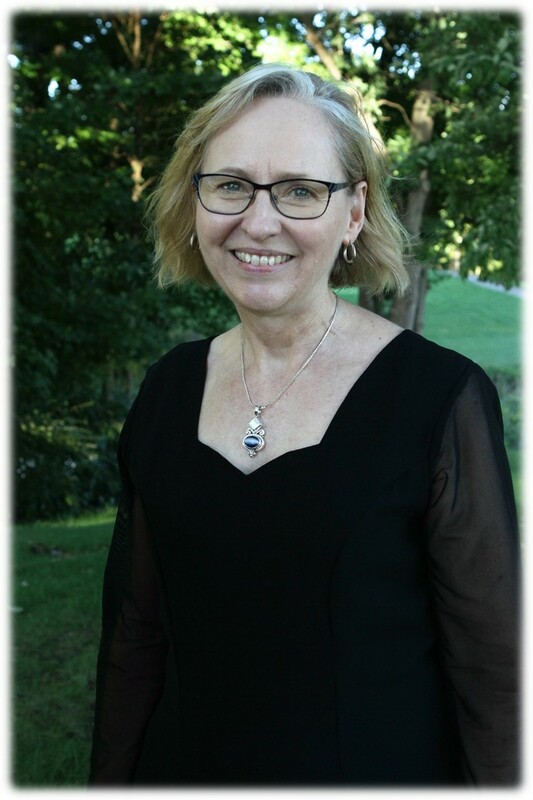 She is an active member of the Handbell Musicians of America, currently serving as the Chair for Area V. As an experienced teacher and director, Jan has served as an inservice instructor for schools, as a clinician for handbell workshops, state music education meetings, Choristers Guild, and denominational church conferences. 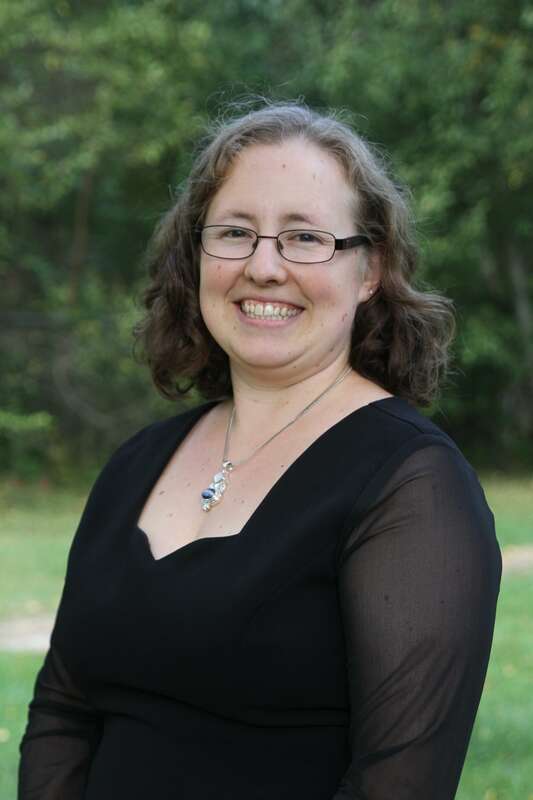 She has also been a guest conductor for many massed bell festivals and conferences and has been a handbell consultant for Malmark handbells for more than 25 years. 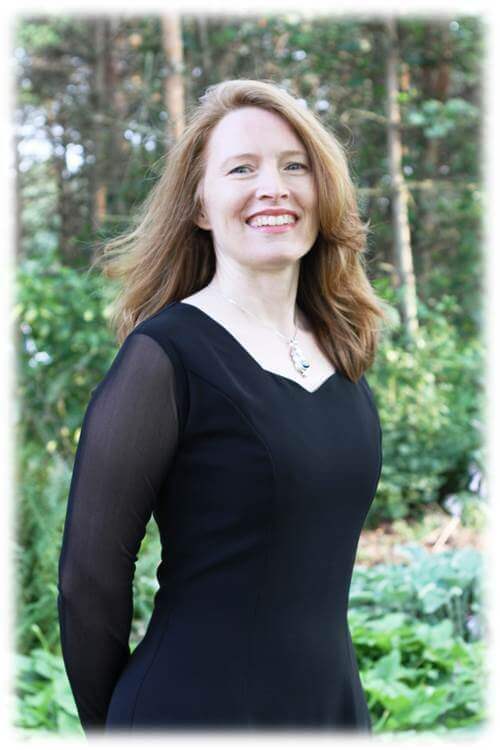 Martha Matthews holds a Bachelor of Music Education degree from Houghton College and a Master of Flute Performance from the University of Idaho. 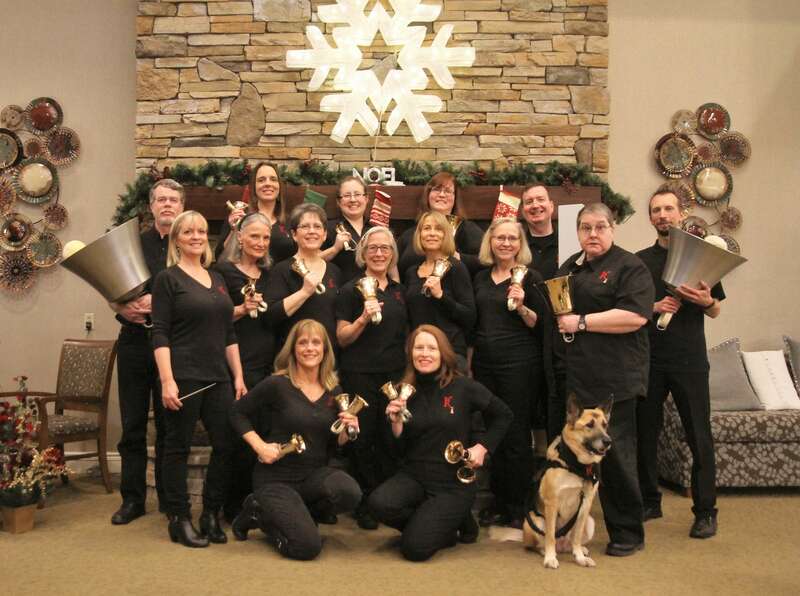 A 34-year veteran of handbells, Martha is excited to have the opportunity to conduct the longest, consistently running community handbell ensemble in the country, Kalamazoo Ringers. 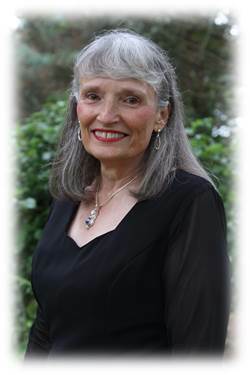 She founded and conducted Philadelphia Bronze, an advanced auditioned ensemble with the motto “elegant energy.” Directing handbell programs at Proclamation Presbyterian Church in Bryn Mawr, PA and Coral Ridge Presbyterian Church in Fort Lauderdale, FL, Martha also worked as Director of Sales at Malmark Bellcraftsmen, Inc. and for Handbell Musicians of America. Martha especially enjoys mentoring new directors. 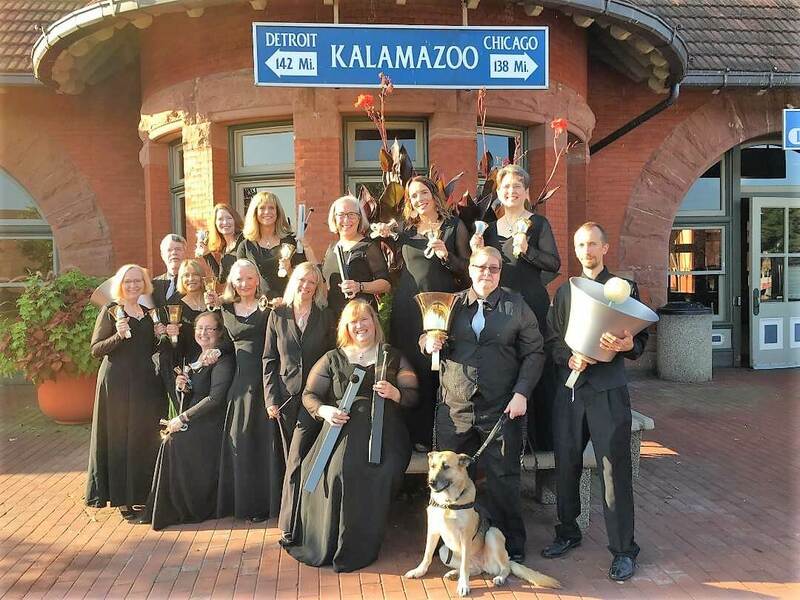 For many years I considered myself a Kalamazoo Ringer “Groupie” attending all the in-town concerts as a faithful audience member, admiring not only the group’s ringing expertise but also the difficulty of the music repertoire. In January of 2003, when I was asked to try a long-term substitute ringer position with the group, I accepted with much hesitation and trepidation. I have now been a REAL Kalamazoo Ringer for the past 15 years! 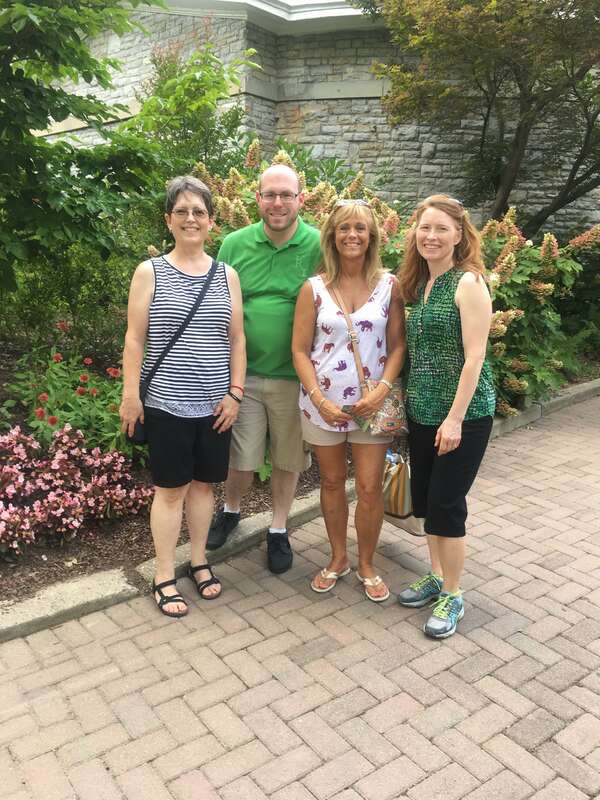 In the process, I met some wonderful new friends, learned to “step beyond my comfort zone”, and grow in my mastery of new ringing skills. I taught 7th and 8th grade Social Studies at Portage West Middle School until I retired in 2017 to become a full time “granny nanny” for our baby grandson. I now have the job of my dreams! I'm married to the most wonderful man in the whole world and we now have three grandchildren with two more on the way. God is so good! Besides ringing and directing three hand bell choirs at our church, I also enjoy teaching swimming, gardening, driving the speedboat, reading, and chasing grandkids. I’ll see you all at the next Kalamazoo Ringer’s Concert! 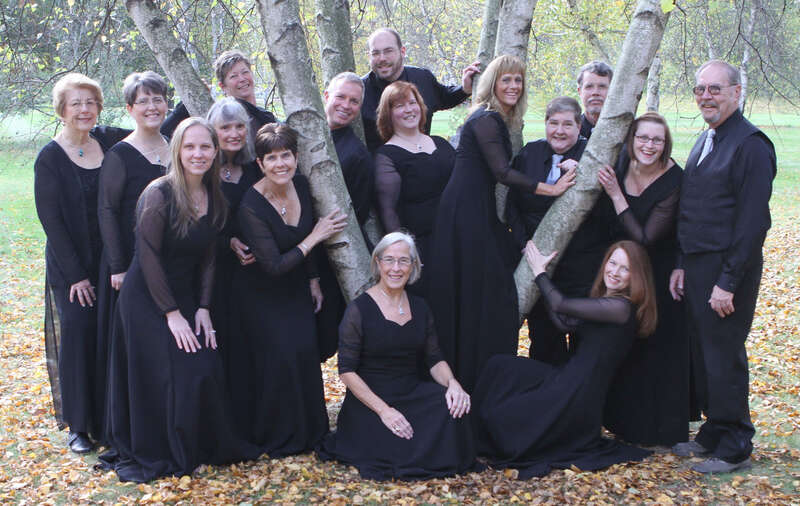 Sarai (pronounced Sara) joined Kalamazoo Ringers in 2017. 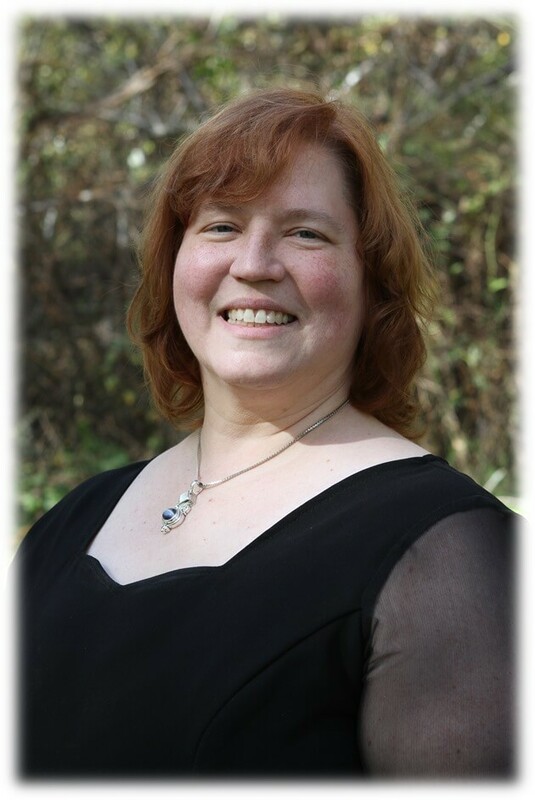 As a Minister of Music at First Presbyterian church in Niles MI, she is also the organist and directs the choir and handbells. When not making music, Sarai loves to read and spend time with family. A self-avowing health nut, she enjoys cooking and exercise, especially swimming and biking. 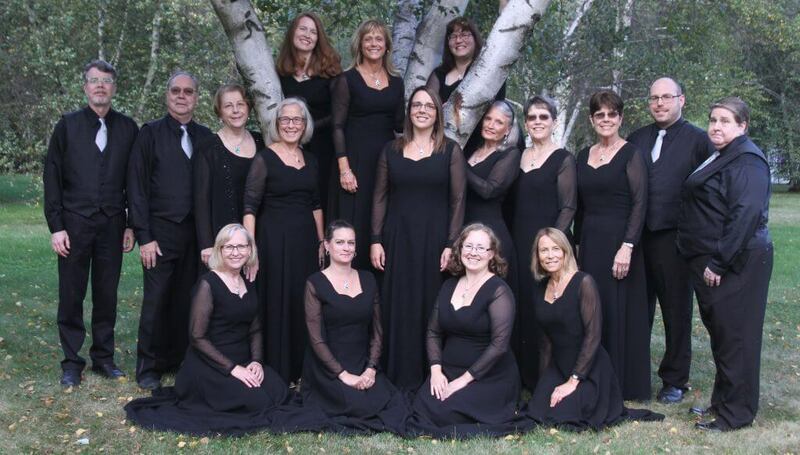 Cari joined the Kalamazoo Ringers in 2017. She began ringing bells in her church handbell choir as a substitute, before ringing full time last year. 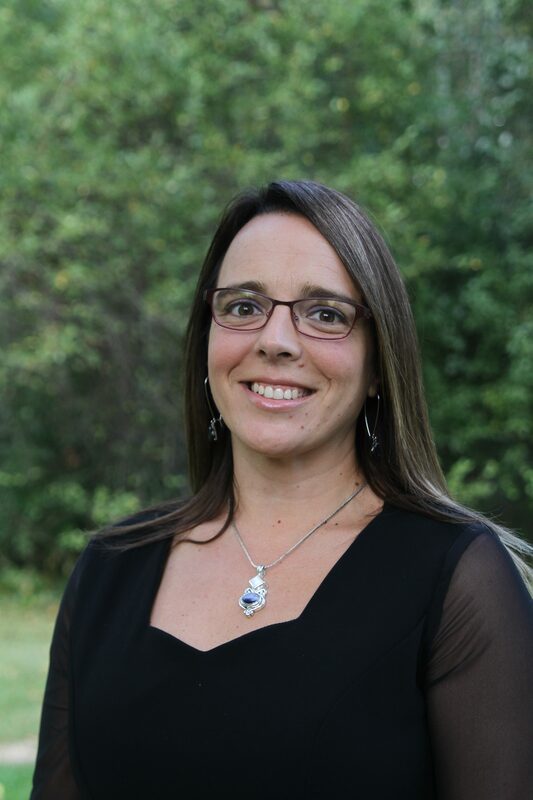 She received her bachelors and masters degrees in music education from Western Michigan University. Currently, she teaches fifth grade in Paw Paw, Michigan. In her spare time she enjoys playing the piano, singing, reading books, golfing, and watching football. She also enjoys spending time with Ryan and their dog Birdie. Chris joined the Kalamazoo Ringers in 2008. 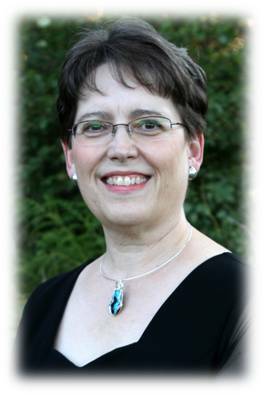 She was introduced to handbells in 1981 and played in several Colorado and Michigan choirs and ensembles. Chris has a background in chemical and pharmaceutical research but currently she is the library assistant at a local high school. When not making music, she enjoys outdoor activities with her family. 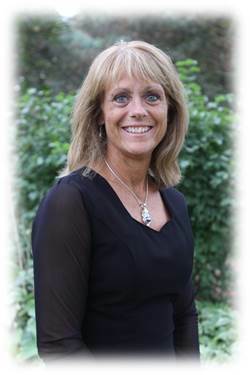 Julie joined the Kalamazoo Ringers in 2016. She has been ringing bells in her church choirs for about nine years, including four years with her daughter. She directs the US nutrition labeling regulatory team at Kellogg’s in Battle Creek. 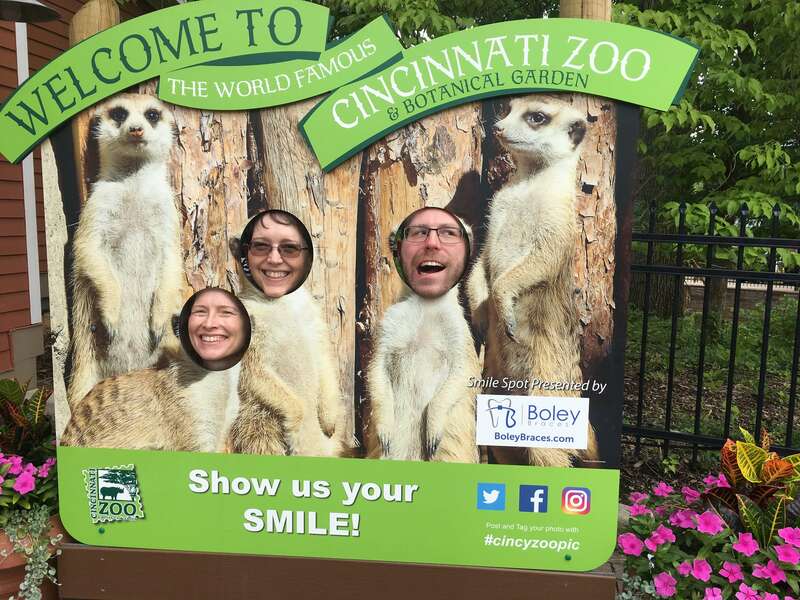 She and her husband have two grown sons and enjoy spending time with them and their families, as well as their daughter. She also enjoys gardening and reading. 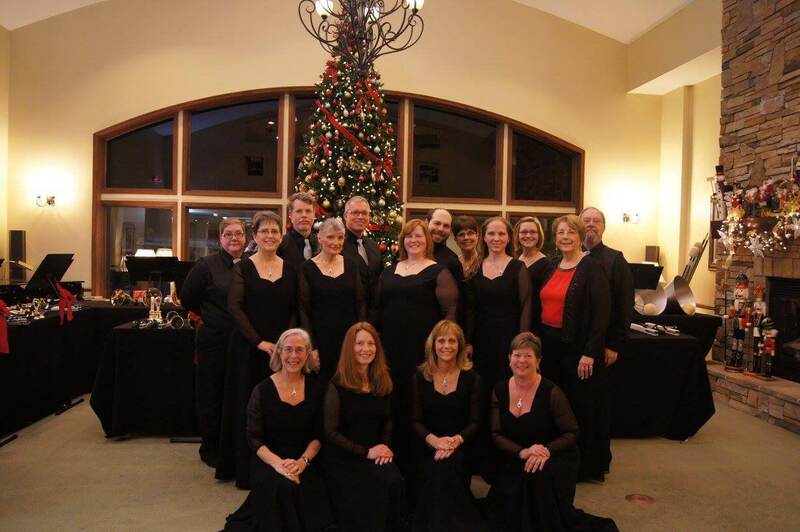 Jennifer joined the Kalamazoo Ringers in 2017. 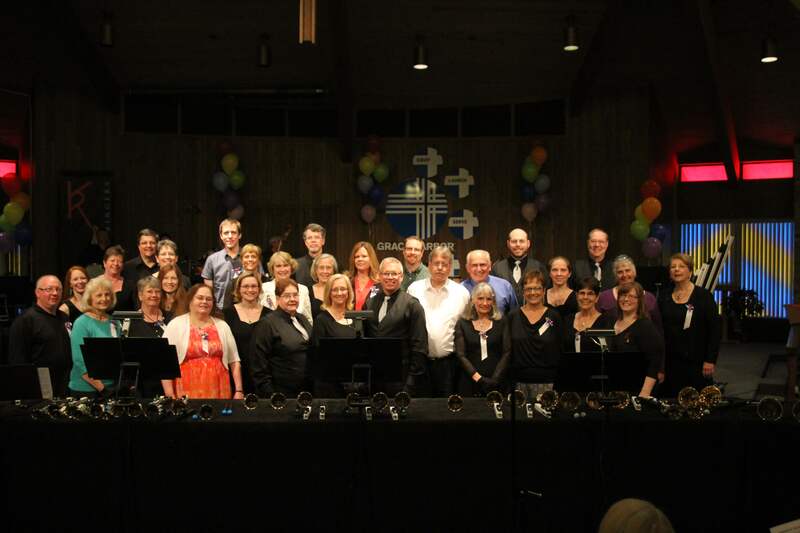 She has been ringing bells in various church choirs for over 24 years. 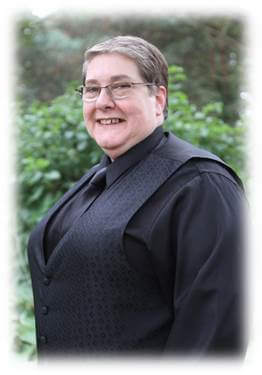 Professionally, she is a sign language interpreter that travels around West Michigan. Personally, she and her husband have 3 sons that keep her very busy. She enjoys quilting and reading in her spare time. 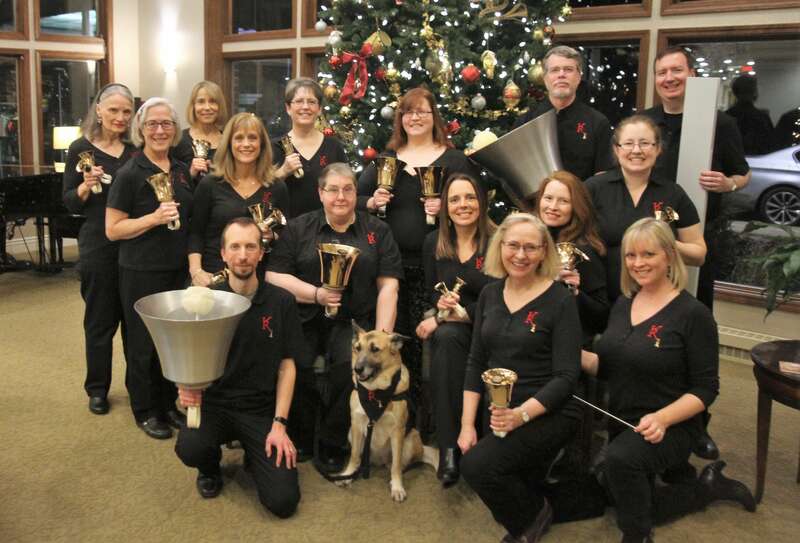 Holly joined the Kalamazoo Ringers in 2014. She started playing bells in her Detroit church in 1973 and has remained passionate about her bell choir participation for years. 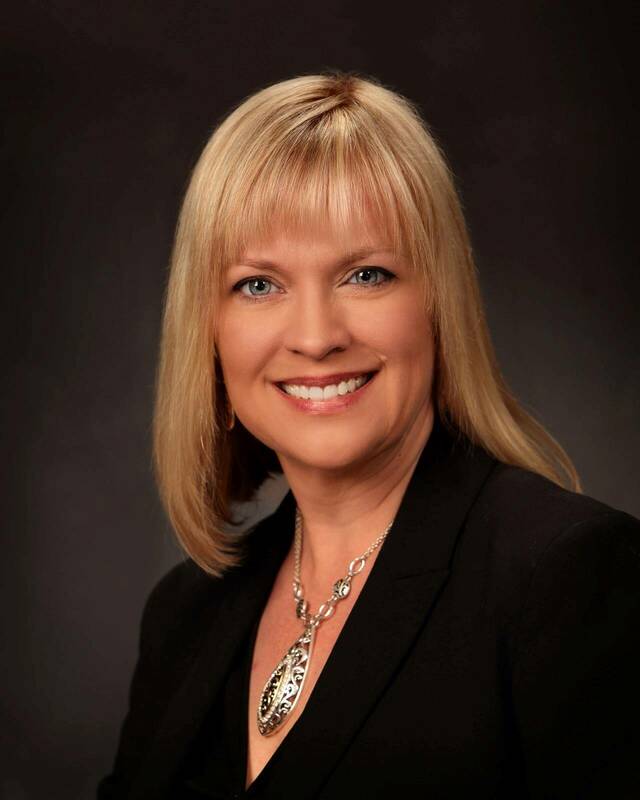 Holly holds degrees in Business Management and Social Work from EMU. In 2010 Holly decided to make Kalamazoo her home. Holly enjoys working outside her home and has three cats. The most recent addition to her animal family is her hearing service dog Maya. 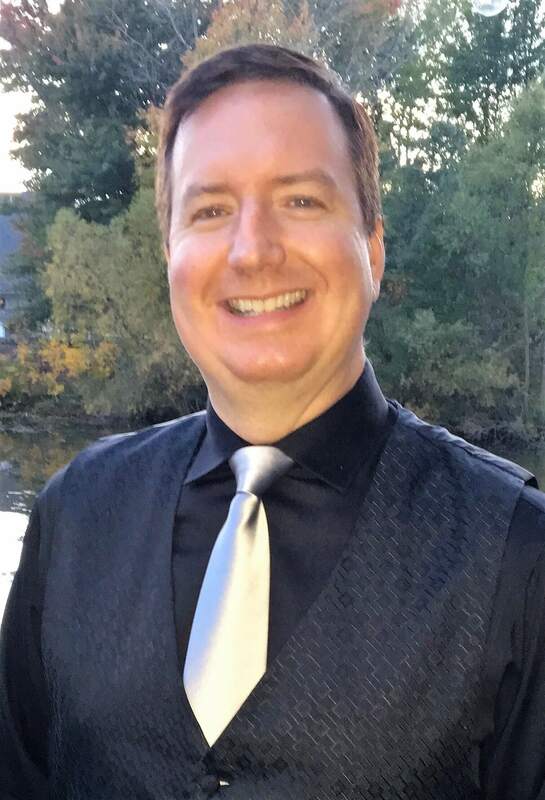 John joined the Kalamazoo Ringers in 2015. He has been playing handbells off and on since 1984. 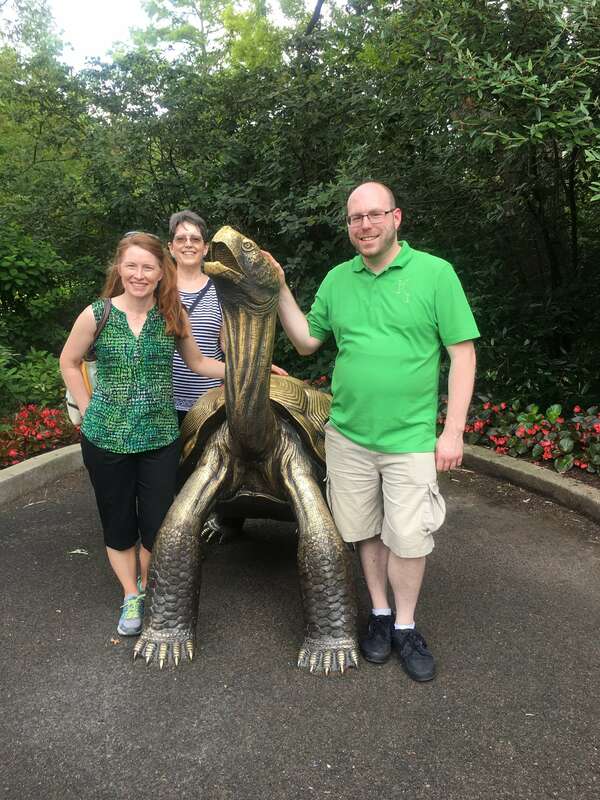 He played French horn in an army band and was a band director before going back to school to start a career as a mechanical engineer. Currently, he works at Conn-Selmer in Elkhart, Indiana, where musical instruments are made. In his spare time he enjoys reading, music, and spending time with his wife and their cats. Jesse is a new member of the Kalamazoo Ringers and is excited to be ringing with the group! 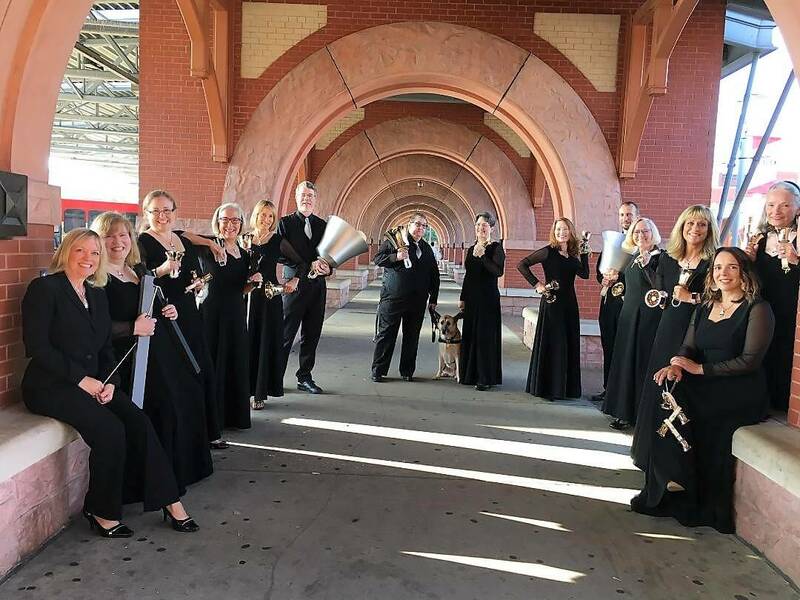 He rang handbells for four years with his church group previously, gaining experience with lower bass, upper treble, and various parts in-between. He and his wife have been blessed with 6 children. 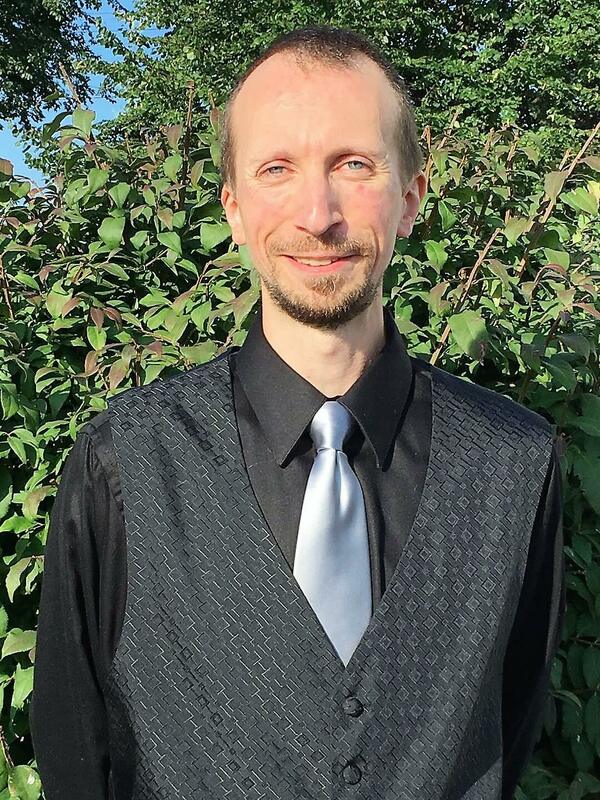 In his spare time, Jesse enjoys reading, working on home improvement projects, and playing the piano. Bill is a new member of the Kalamazoo Ringers. 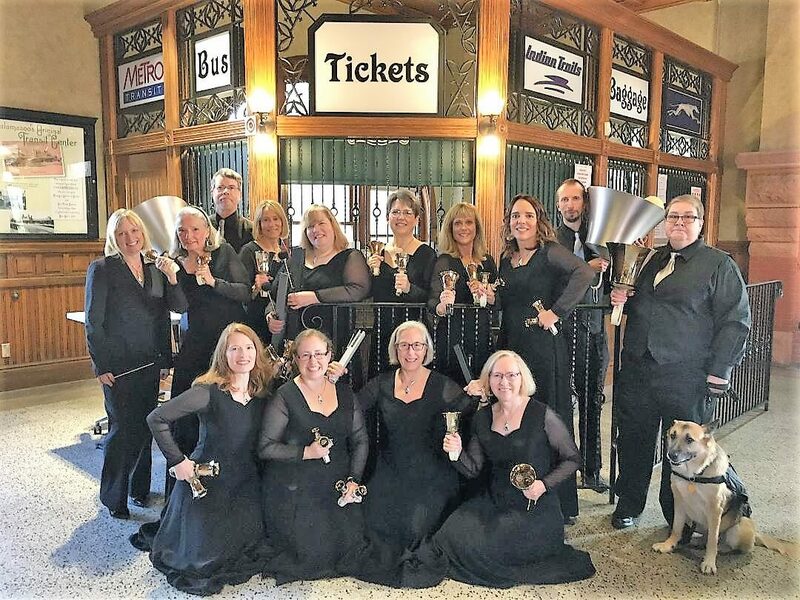 He’s been ringing in the Christ Memorial bell choir since he was a teen and has also been a member of the Zeeland Community Handbell Ensemble. 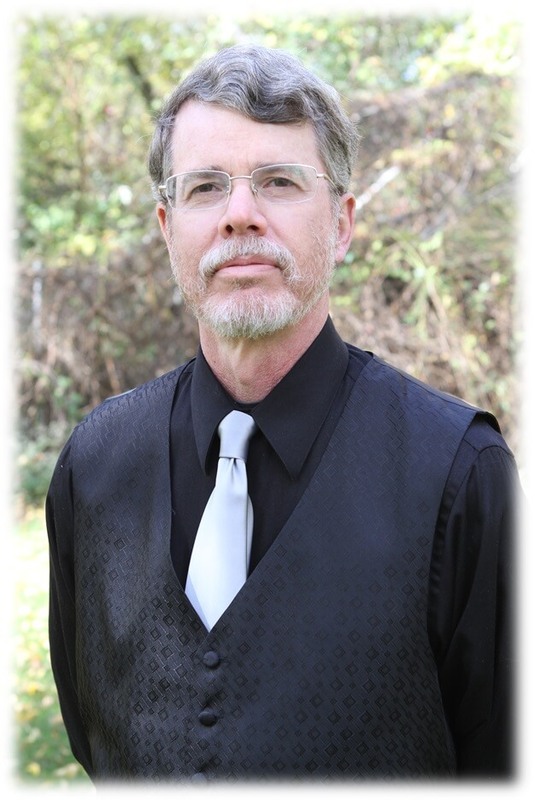 Bill does consulting in web development and digital marketing. 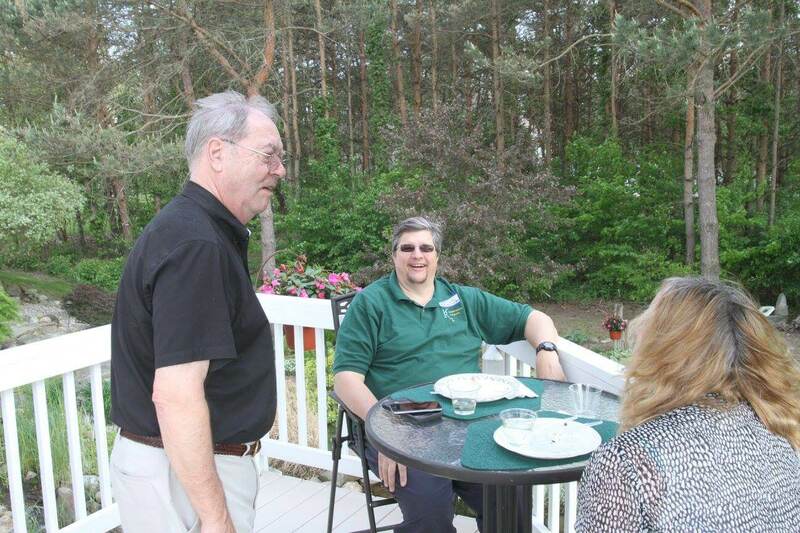 A member of the Civil Air Patrol, he enjoys aviation, kayaking, baking, and cooking. 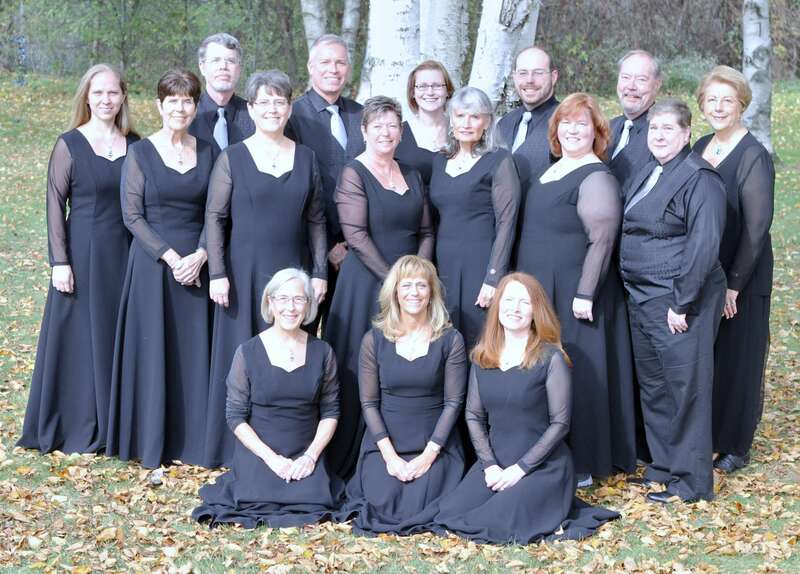 Karen joined the Kalamazoo Ringers in 2013. She has been ringing bells for ten years since starting with her youngest daughter in a bell group at church. She has three grown daughters and teaches 8th grade language Arts in Paw Paw. She enjoys reading, going to the beach, and spending time with her girls. 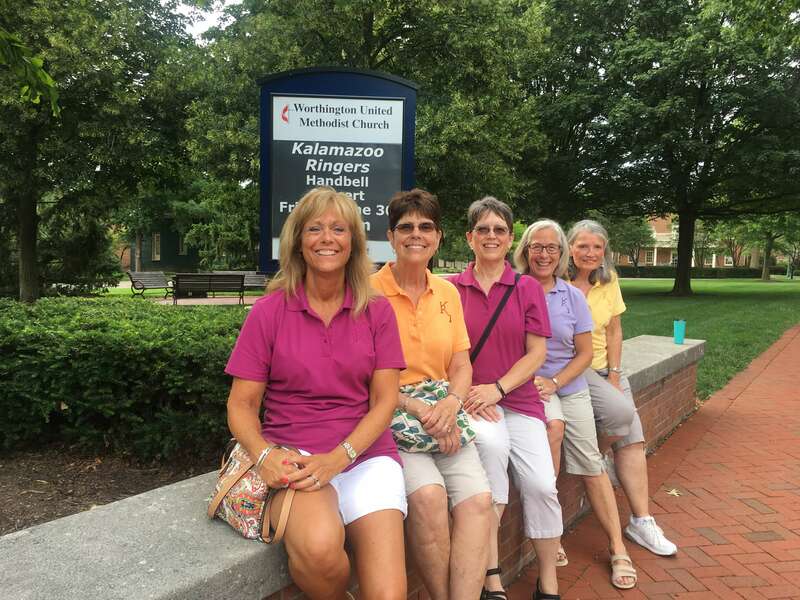 Karol joined the Kalamazoo Ringers as a charter member in 1981. She has three daughters and seven grandchildren. 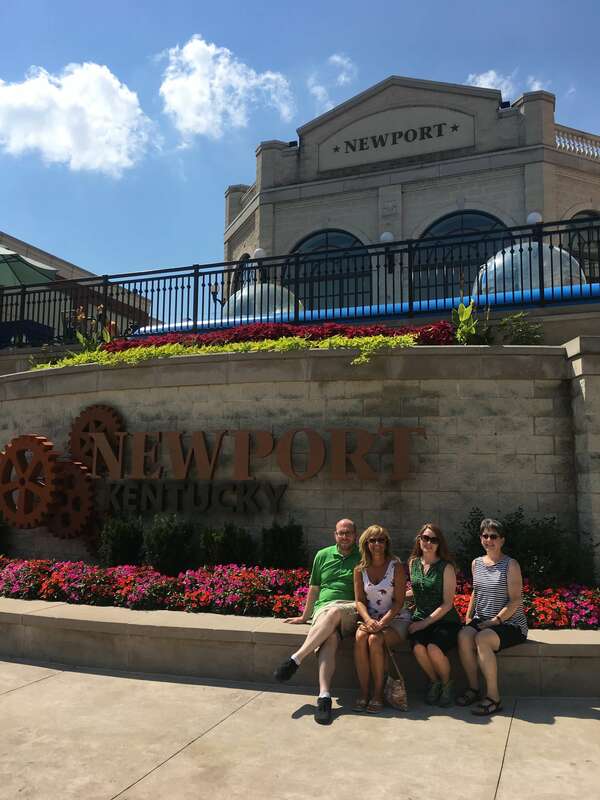 In the summer time, she enjoys spending time with family and friends at her place on Lake Erie. She is retired from the Portage School system. 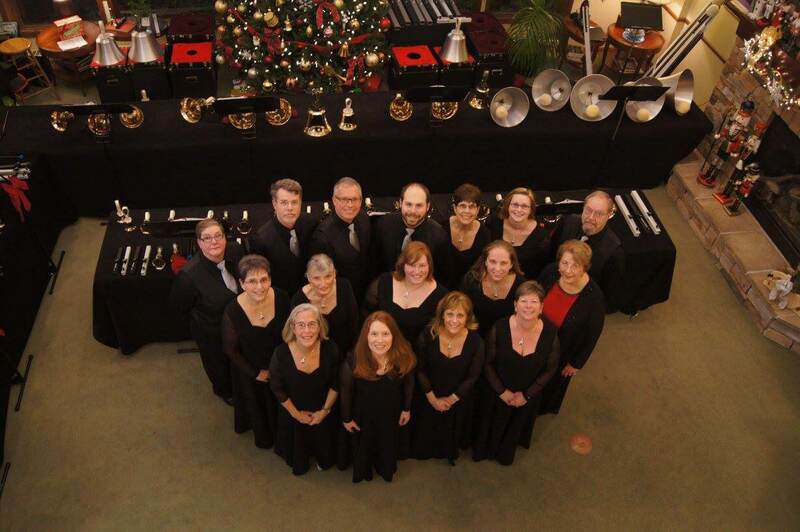 Nancy joined the Kalamazoo Ringers in 2011 after playing in her church handbell choir for many years. She is an active member of the Kalamazoo Weavers Guild and after retiring after a long career in information technology is interested in a variety of other arts and crafts such as sewing, knitting and beading. She and her husband have two adult daughters. Melissa joined the Kalamazoo Ringers in 2010. She had been ringing about seven years in two different church handbell choirs. She is a single mom of a daughter and a son who also play handbells at church. 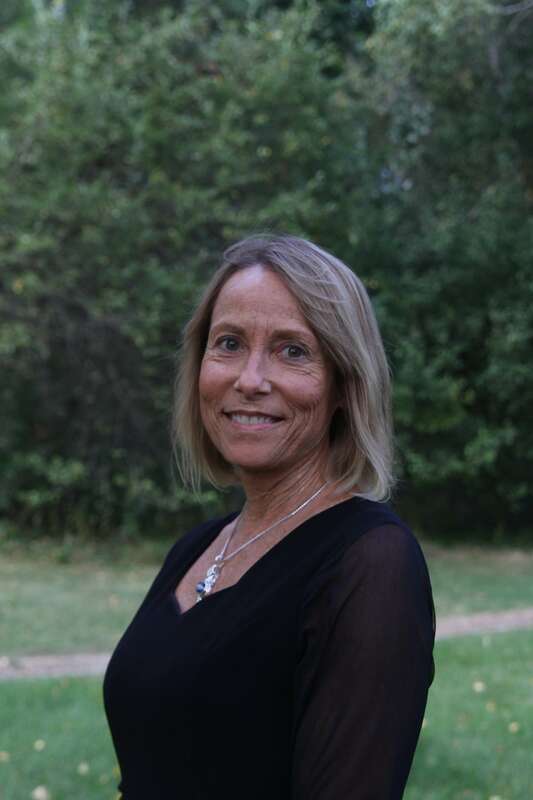 She has taught gymnastics for the last 26+ years and enjoys all things crafty.